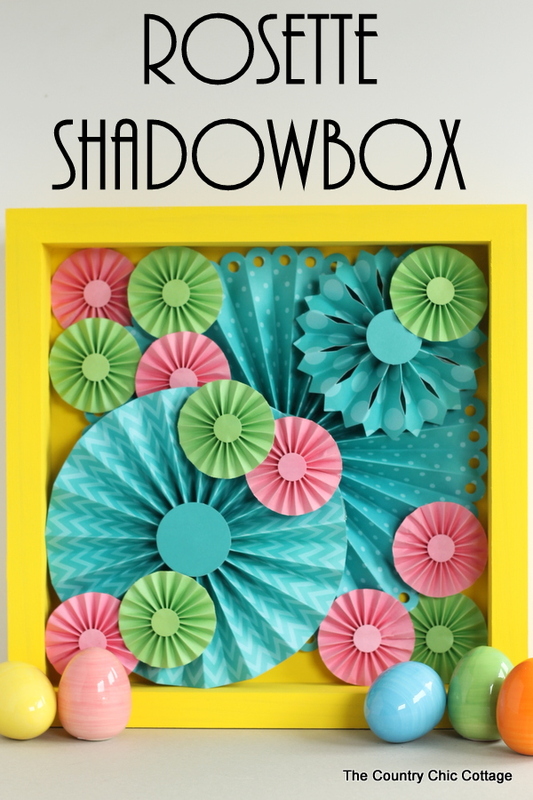 This paper rosette shadowbox is a great addition to the decor in any room. Change up the colors to go with any room in your home. I made this bright and colorful version to go in a teen bedroom. I must say I love it! This is a super quick and easy project (I promise y’all!!). This one was originally posted over at Crafts Unleashed where I am compensated as part of their design team. All projects and opinions are my own. Some links may be affiliate links. All product was given to me for my design team participation. 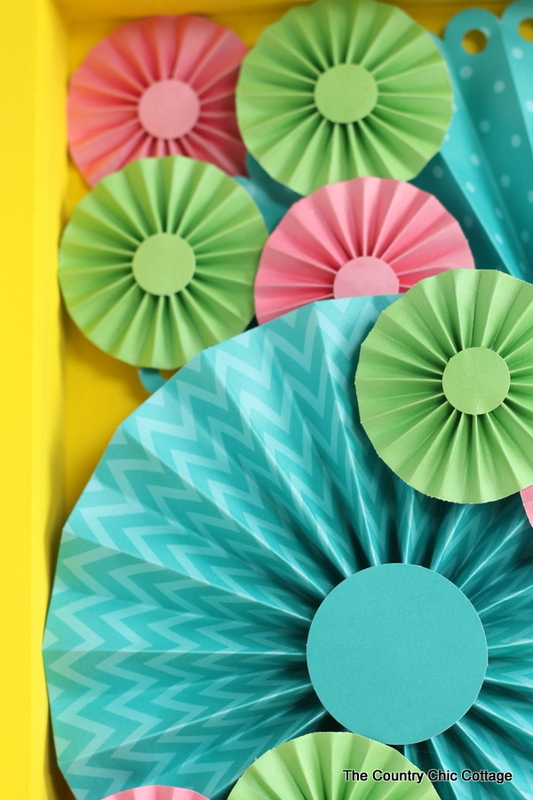 The part that makes this project so simple is the paper rosettes! 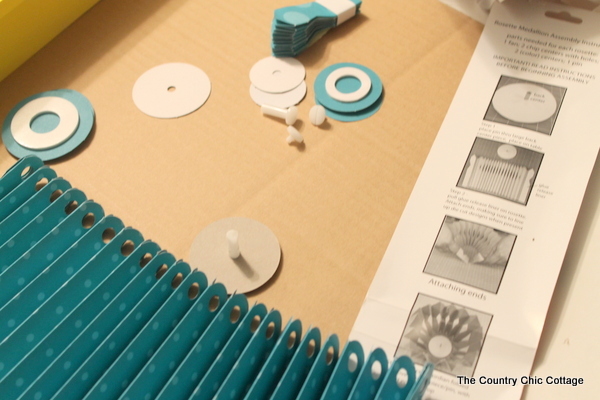 They come in kits that make everything come together in just minutes. The mini rosettes actually come right out of the package already assembled. The larger ones come needing a little bit of assembly but it is really super simple. The directions are right on the package and I was able to assemble the ones I needed in just a few minutes. The adhesive and everything you need is in the rosette package. 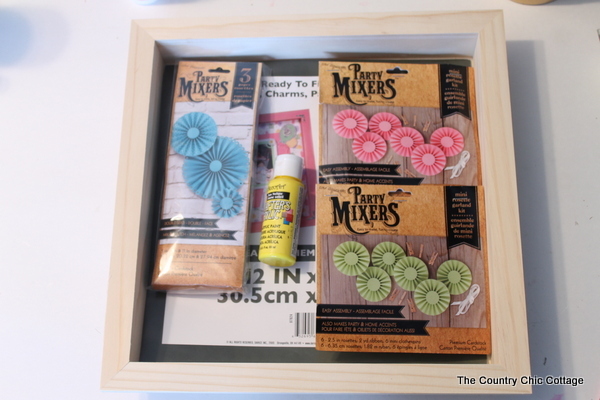 Start by giving your shadowbox a few coats of paint. Paint inside and out and allow to dry completely before continuing. Layer in your rosettes but DO NOT glue anything yet. Play with the placement until you love the look. Then just use your trusty hot glue gun to put everything into place. A dot will do on these as they are not heavy at all. 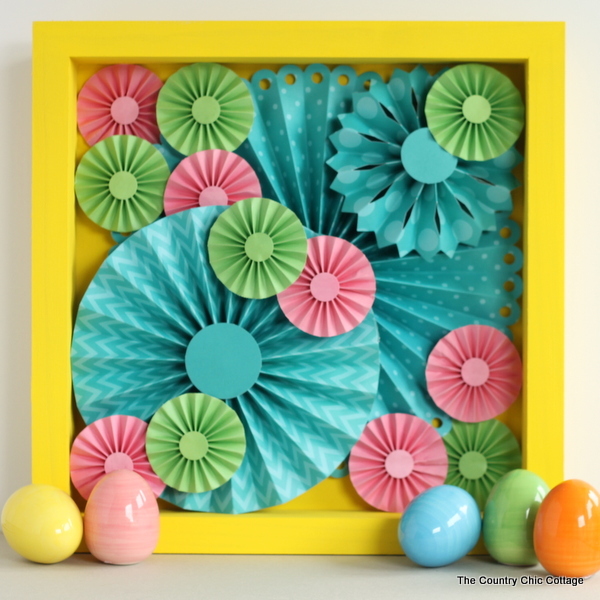 Be sure top layer those rosettes and really make this shadowbox three dimensional. 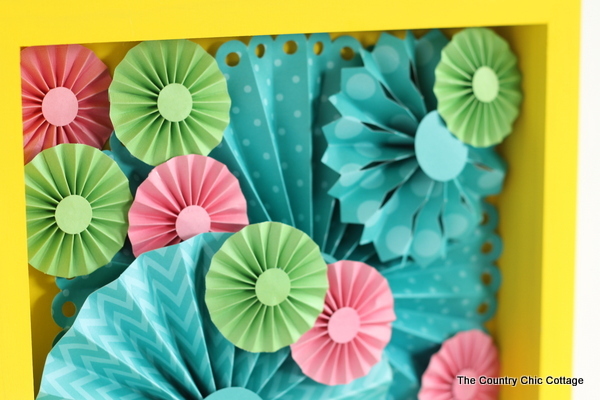 Are you just loving this craft project yet? I must say that this is one quick and easy project that is a show stopper. 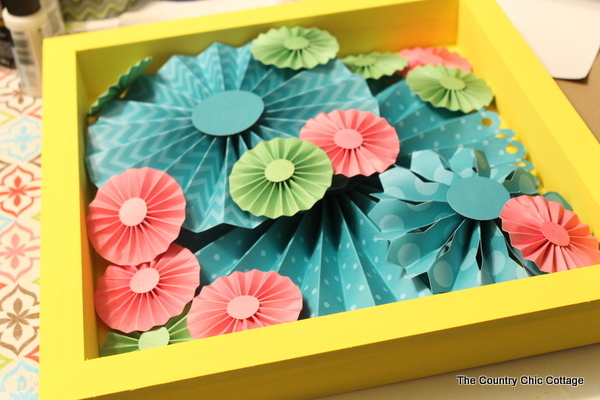 Grab your supplies and make your own version of this paper rosette shadowbox today. 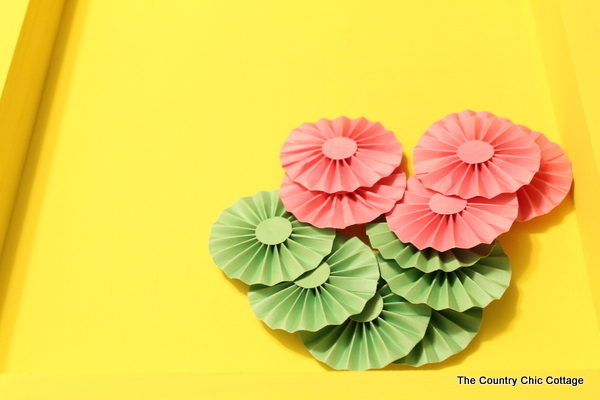 This is one paper craft that will make a BOLD statement in your home.